This is my favorite breakfast and sometimes even dessert after dinner! 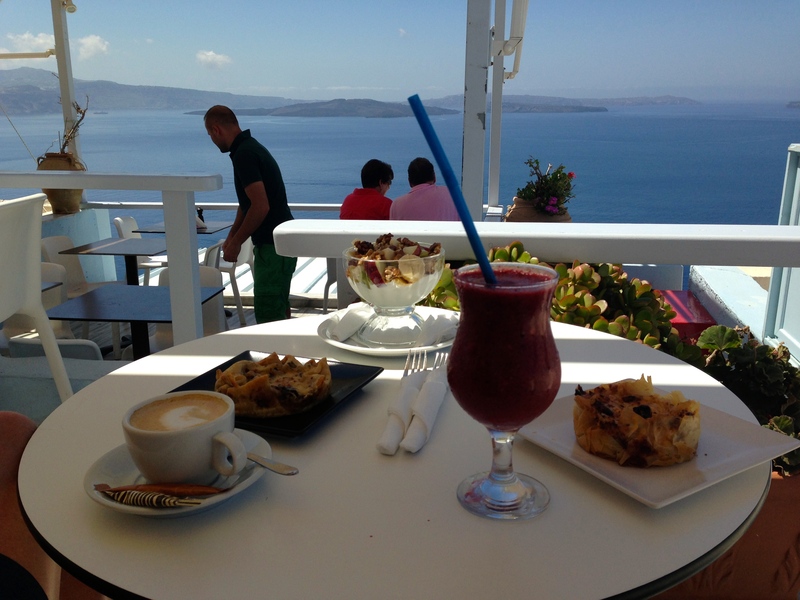 I became so obsessed by it last summer in the greek islands that would begin the hunt for the perfect breakfast places as soon as I got to a new island. I would wake up all excited and look forward to this amazing yogurt and also the gorgeous greek tarts. My husband was pretty perplexed and could not understand what had gotten into me as usually wild horses could not drag me out of bed and then if they did, I don’t like engaging in any conversation with anyone for at least the first half hour after I wake up, and food is far far away from my mind, it is hard enough just to keep my eyes open! Suddenly, I had turned into this person who embraced mornings and would be as eager as a beaver to get us going in the mornings and not allow the poor soul any sleeping in. I was on a mission to get up and out in the sunshine and get my yoghurt and other Greek deliciousness. I can’t stress enough how much I love the combo of good greek yoghurt, pistachio’s or walnuts and Greek thyme honey (attiki honey in the red tin is my ruling favorite – easy to buy on amazon). Could anything be simpler or more tasty? you be the judge after you try it. One thing to remember in this is the ingredients make all the difference, so getting the best yoghurt and honey will really make a world of difference. You can add any fruits you like to it as well as nuts. What ever takes your fancy. Just learn from the Greeks and start having this for breakfast and stop missing out on life as soon as possible, is all I say on this topic. To enjoy this yogurt properly find a good spot to sit and savor the taste. 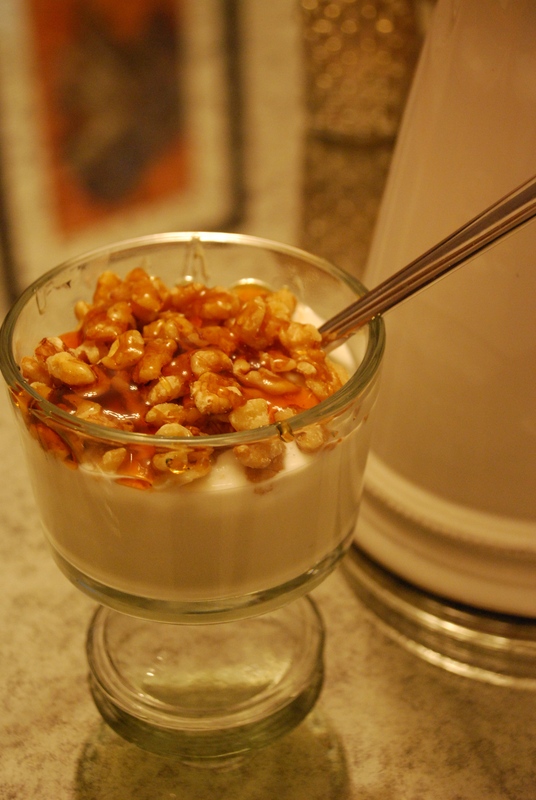 I can not check emails or surf the net while eating this, I like to just focus on that beautiful thyme honey flavor with the crunch of the nuts and creaminess of the yoghurt…and be transported back to Greece…yum yum yum, now thats the way to begin a morning! 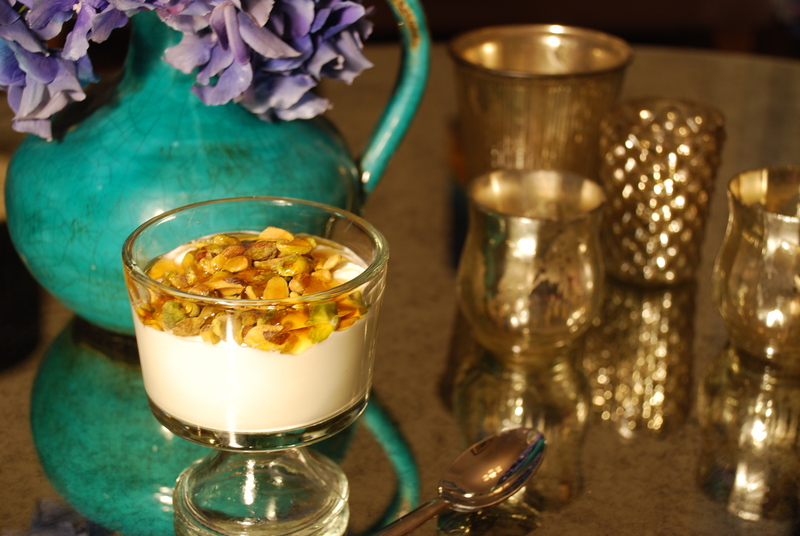 Place your beautiful luscious greek yoghurt in a bowl, sprinkle nuts on top and drizzle with honey and enjoy.